3D scrolling fighter game Kroll has finally debuted on the Apple App Store, so iPhone and iPod touch owners can finally start fighting through the virtual worlds. The application was first shown off at the WWDC earlier this year, but it has now finally made its way from the sky into the devices of millions. 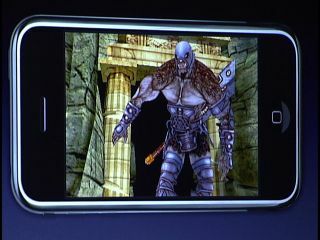 Kroll is designed to use both the arcade style of 80s games together with all the rendering power of the iPhone. Which to us sounds frankly dangerous, but in real terms it looks rather spiffy. Xavier Carrillo Costa, CEO of Digital Legends Entertainment, which developed the game, says it was put together in only two weeks. The 3D scrolling fighter game sees users fighting through worlds filled with volcanoes, beaches and magma mines. Sounds a bit like TechRadar's infamous nights out, then. "KROLL is our first game for iPhone and iPod Touch and the first game to debut as part of Digital Legends Entertainment's own publishing activities so we wanted to make it special," said Costa. "We are extremely proud of this game and believe users will be amazed by what we've achieved." KROLL is available for £4.99 from Apple's App Store on iPhone and iPod touch, or head on over to the iTunes store online. You'll know what to do when you get there.